“Quality is the centre of everything we do ” …… Always has been and always will ! For over 30 years Toshniwal has led the way in developing unique process to supply novel products. 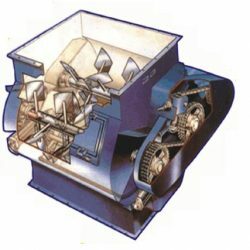 Through years of experience in Powder Mixing Technology Toshniwal have provided proper mix to the “Feed Industries”. Along the way our focus has always been centre on quality. Un-compromised quality backed by our unsurpassed technical expertise in manufacturing. 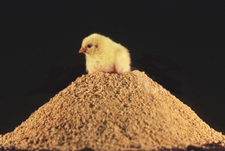 Young animals and poultry are especially sensitive to poorly mixed feed. To achieve optimal performance ideally each bite should contain all of the nutrients in the proper mixed proportions. Poorly mixed feed requires higher safety margins of critical nutrients or they may cause “sub optimal performance”. Invariably the liquid addition to the mixed feed poses problems of agglomeration and non-uniformity, hence it leads to inconsistency in the nutritional / medicinal substance in the final product. Now-a-days every feed unit is looking for simplifying the liquid addition process and at the same time enabling the feed quality in excellency level. Dry Mixing of whole coarse ground ingredients with the premix (1) as per 1 Ton or 2 Tons formulation. Toshniwal offers the new generation Feed Mixing Unit with the following Advantages. Reveals the bottleneck of upstream / downstream operation. It has been realised that Toshniwal Forberg Mixer provides “High mixing accuracy combined with gentle mixing action, thus eliminating the over formulation of recipe and serving the best quality of the end product”. PMS / FDB accessory with Mixer and Liquid Spray Setup for uniformity for minimum / maximum quantity liquid to the mix.